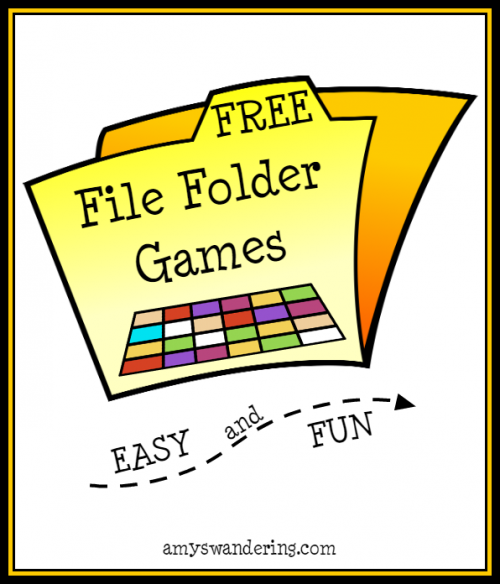 My kiddos loved file folder games when they were little. They were a fun way to learn, and and easy activity for them to do on their own while I was working with another child. File folder games are simple to make: cut out the printables, glue them to a colorful folder, and play! If you would like your games to last longer, laminate the folders and pieces for extra durability. Hot glue a storage baggie to the back of the folder to store all of the little pieces. These lovely sites are filled with free file folder games. Have fun!